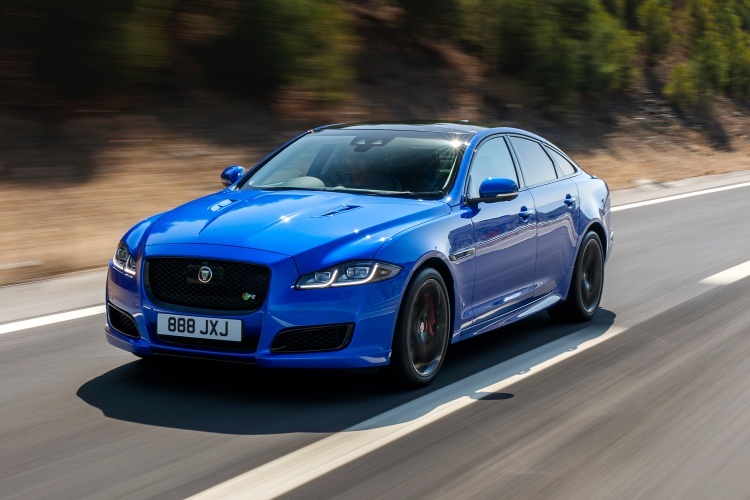 The Jaguar XJR575 is the most powerful version of Jaguar’s flagship sedan, the XJ. With the next-gen model on the horizon, is this the greatest iteration of the current-gen XJ? Jaguar is among the few legacy car brands I hold in high regard. How can I not? This British company made the beautiful and timeless E-Type. Enzo Ferrari called it the most beautiful car ever made. The company made the world’s first supercar with carbon fibre and kevlar frame + body work in the XJR-15. Its XJ220 was the world’s fastest car for some time. Today, it is known as the maker of the fastest sedan around the Nurburgring Nordschleife – the XE SV Project 8. Just like how Steve Rogers became Captain America, so is the case with Jaguar XE in its transformation to XE SV Project 8. 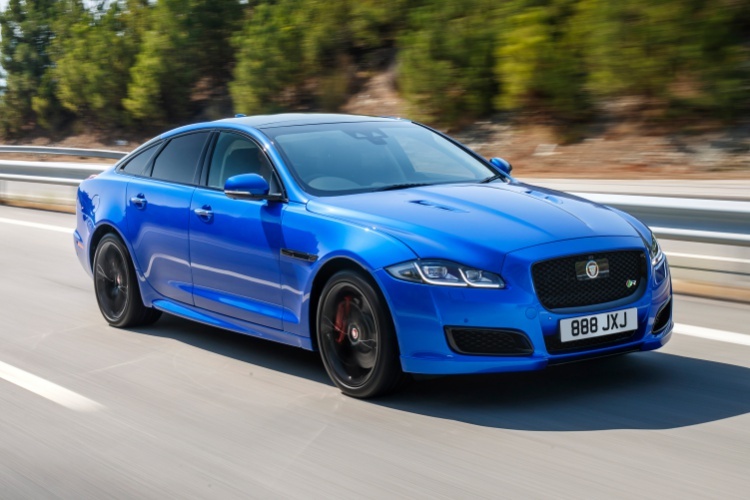 Jaguar has gone ahead and given its flagship sedan – the XJ – a similar treatment. 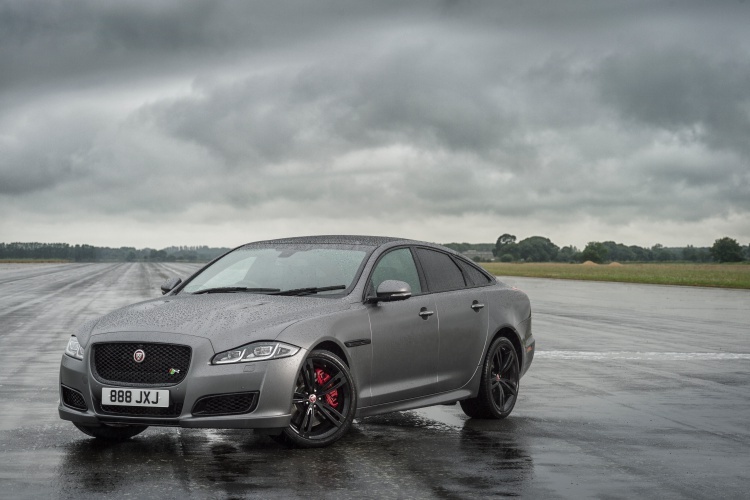 The result is the Jaguar XJR575. 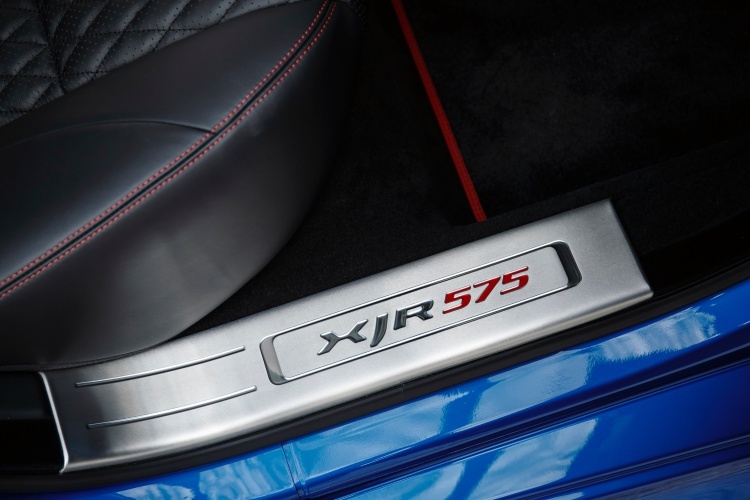 What is the Jaguar XJR575 all about? Allow me to help you understand. 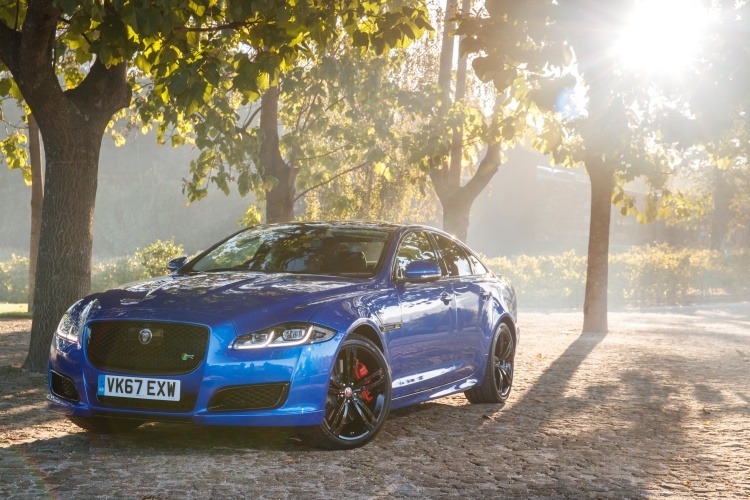 What’s new about the Jaguar XJR575? 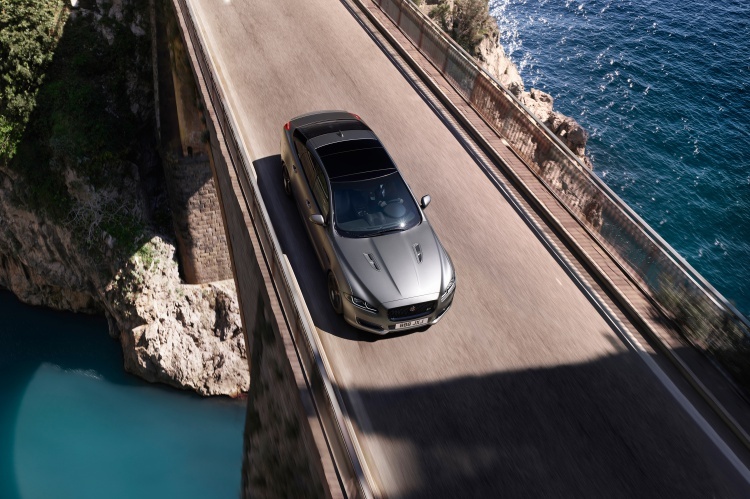 Let’s start with the Jaguar XJR575’s pièce de résistance – its engine. It is a DOHC, 32-valve, direct-injected, supercharged 5.0-litre V8 petrol engine. It makes 575HP power and 700Nm torque. It is mated to an eight-speed automatic gearbox from ZF. The gearbox powers the rear wheels of the car. The result? 0-100kmph in just 4.4 seconds and a top speed of 298kmph (186mph). 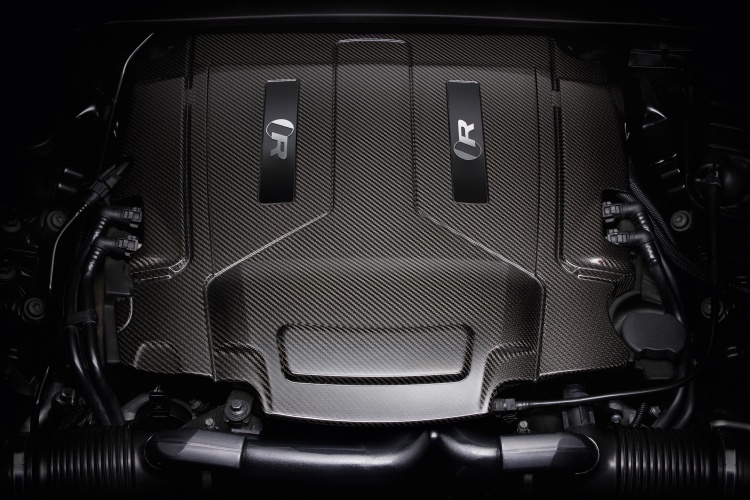 To make it even more special, Jaguar gave the engine a carbon fibre cover. 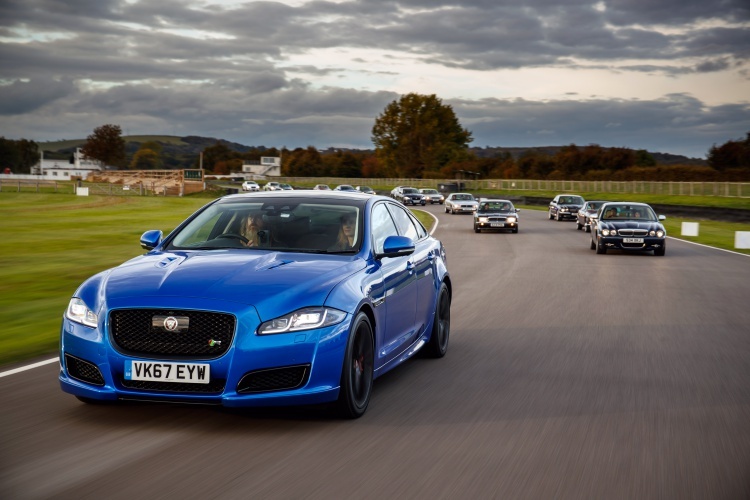 By now, there should be no doubt that Jaguar XJR575 sits atop the XJ lineup. 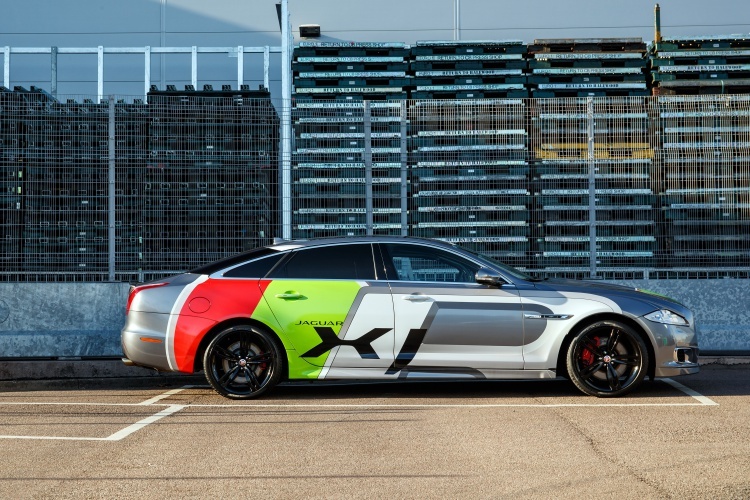 The car gets two new paint schemes created by Jaguar Land Rover’s Special Vehicle Operations division – Satin Corris Grey and Velocity Blue. Notably, these colours are exclusive to the XJR575 and will cost you. These paint schemes are contrasted by red-painted brake calipers on the car. 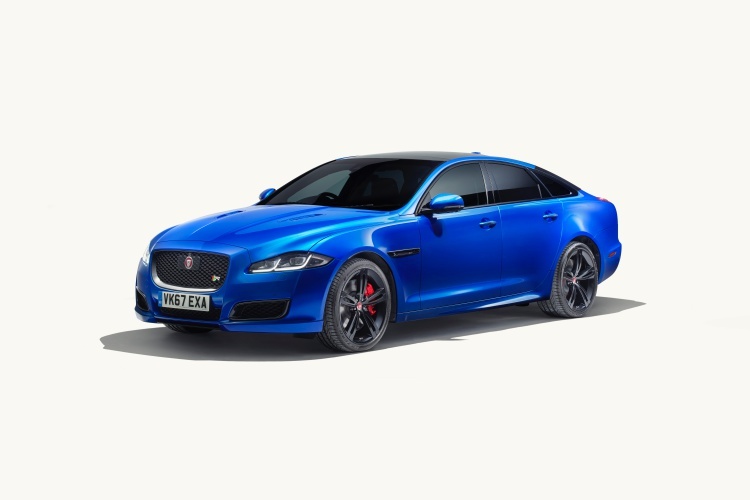 In its transformation from the regular XJ, the Jaguar XJR 575 gets revised boot spoiler, side sills, front bumper, splitter, and gloss black air intakes. It gets a revised bonnet with twin louvres. It rides on 20-inch 5 split-spoke gloss black wheels. At the rear, it sports quad exhaust pipes. Inside, the car gets sports seats with adjustable bolsters for improved lateral support. They feature perforated diamond-quilted leather upholstery. Both front and rear seats are ventilated with heating and cooling functions. The seats also feature embroidered 575 branding. The paddle shifters are crafted from aluminium. 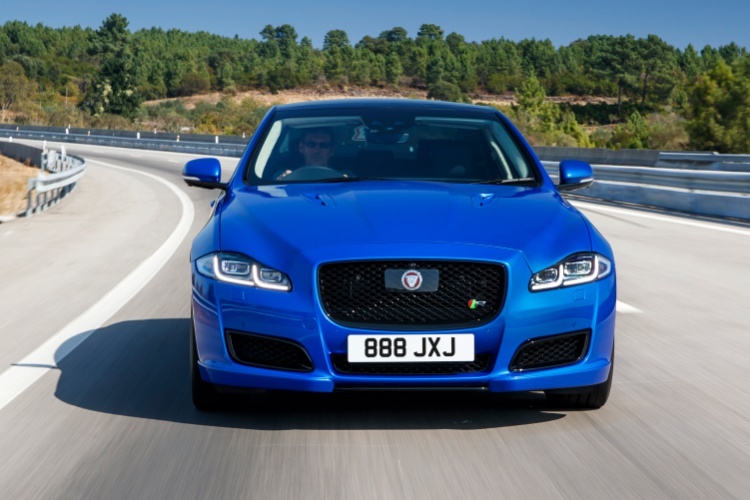 There is 575 branding on the car’s dashboard and XJR575 scuff plates at both front and rear. The rest of the car is the same XJ you know – stylish and sharp. It continues to look great for its age, proving how timeless its looks are. Well, you know what they say – if it ain’t broke, no need to fix it. That holds so true in the case of Jaguar XJR575. 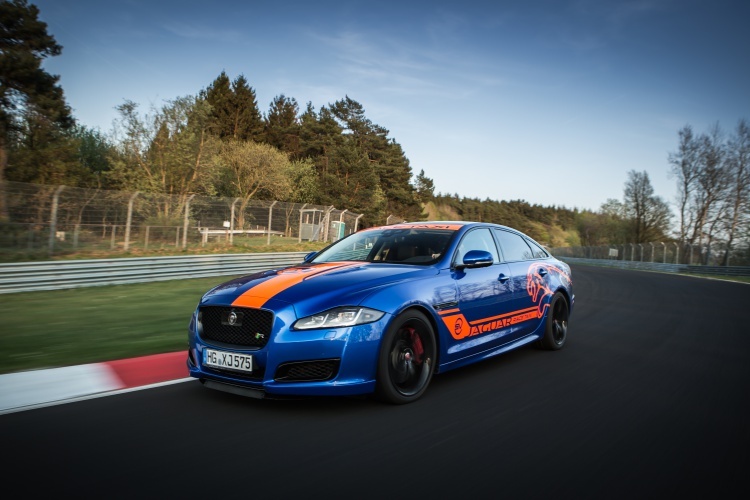 Fun fact – those headed to Germany can book a ride around the Nurburgring in the Jaguar XJR575. Yes, the XJR575 is a Nurburgring taxi too. Ain’t that great? 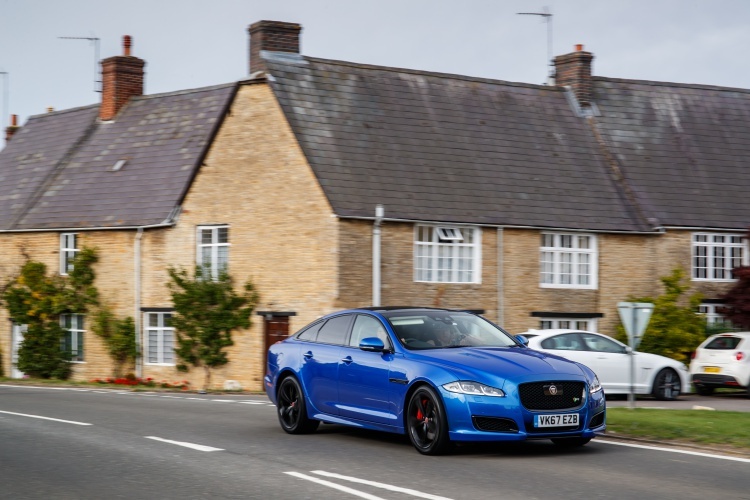 Is the Jaguar XJR575 worth consideration? The answer to this question depends on a question – do you like the idea of a sleeper car (like this one)? If yes, then Jaguar XJR575 is the kind of car you need. Barring a few giveaways (only for keen-eyed folks), it looks identical to the XJ. 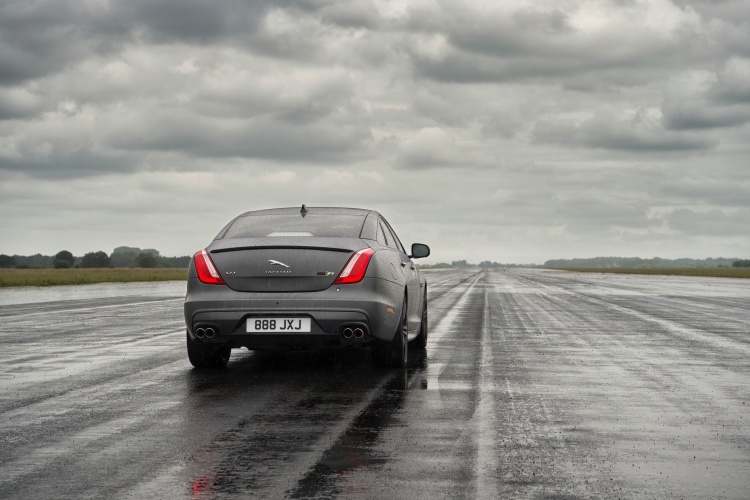 In its conversion to XJR575, the XJ hasn’t lost its practicality. It still has four doors, a boot, and generous proportions. I’d say the 5.0-litre V8 is its special sauce. However, that’s akin to selling Jaguar short (a sacrilegious act). The car will likely have revised suspension tuning, beefier brakes, and better cornering ability. Speaking of that 5.0-litre V8, it is a supercharged engine. For the uninitiated, this means immediate power delivery. If I were to nitpick, I’d say it should have had a V12 instead of a V8. I don’t think you’d care for one though. If you don’t like the regular XJ, it will be tough to convince you to consider the XJR575. After all, few bits aside (important ones at that), it is an XJ at its core. 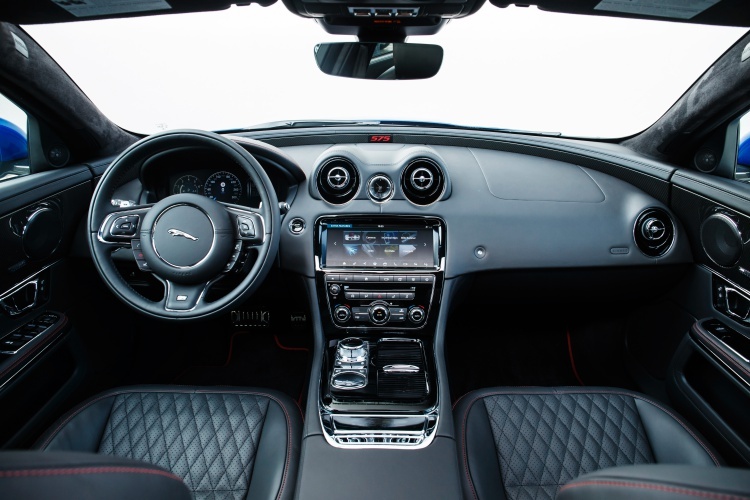 If you didn’t like the XJ’s interior, its infotainment unit, or its looks, the XJR575 likely won’t convert you. For others, this is a car worth consideration. 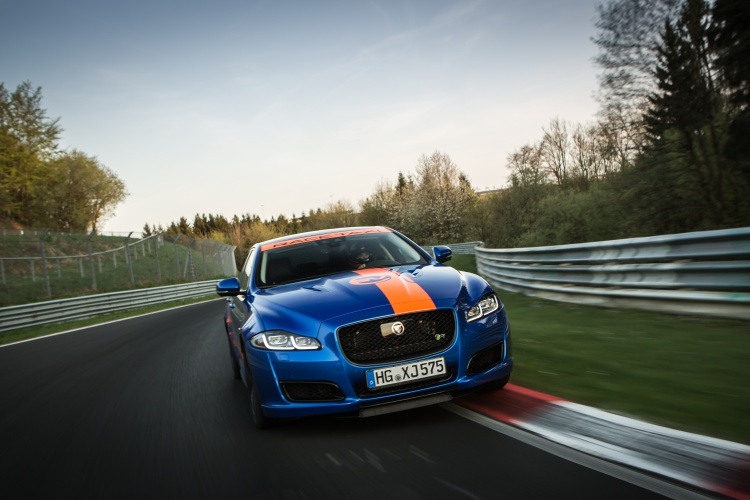 Jaguar will help you with your decision-making process by giving a ride in the car on the Nurburgring racetrack. 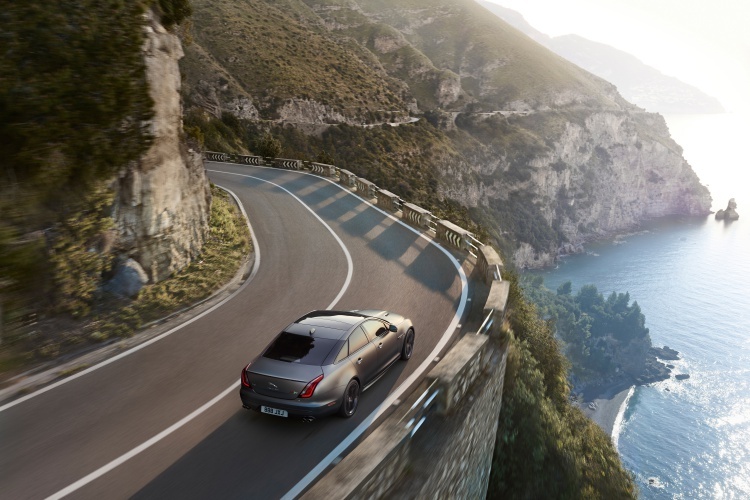 It is highly likely that such an experience will make you want the XJR575. 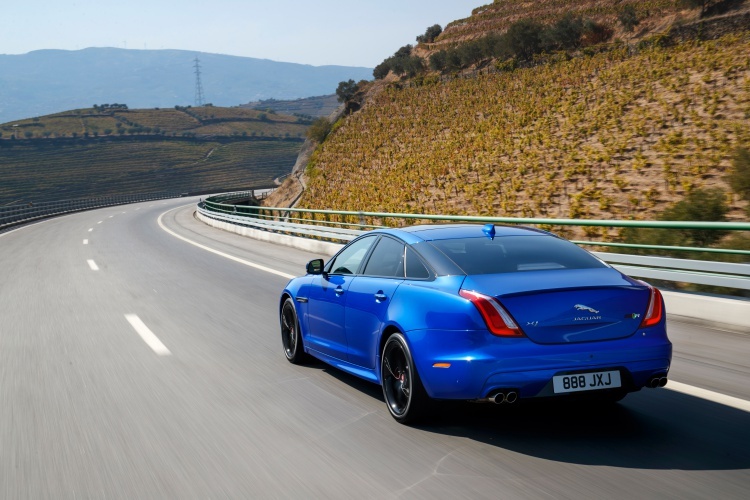 To that end, I have faith in the Jaguar XJR575 and its maker. Do you? There is a slight problem though. 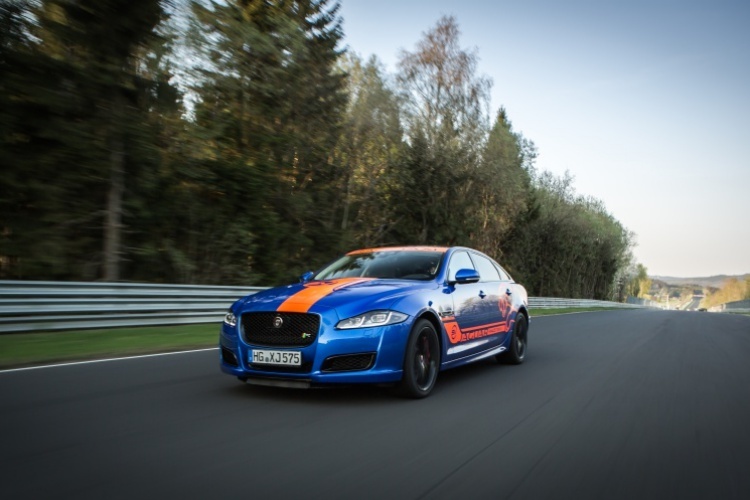 How should I put it… The Jaguar XJR 575 is not available in Europe due to stringent WLTP (Worldwide Harmonized Light Vehicle Testing Procedure). That 5.0-litre V8 isn’t exactly dino-fuel friendly. However, you can get one in areas where WLTP doesn’t apply (like the US). For US folks, that means you get this car’s long wheelbase version. You win some, you lose some (I guess). Previous: Previous post: OnePlus 6T – A step forward, two back?